Feel the heat! 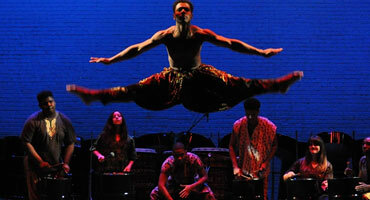 In this dazzling show, high-energy Caribbean and West African music blend with electrifying dance to tell the story of Trinidad steel pan drums and calypso. Designed to captivate audiences of all ages, Rhythm Live! features young performers from the Virginia Arts Festival’s Rhythm Project and The Governor’s School for the Arts, who work for months to learn the historically authentic music and acrobatic dance moves.